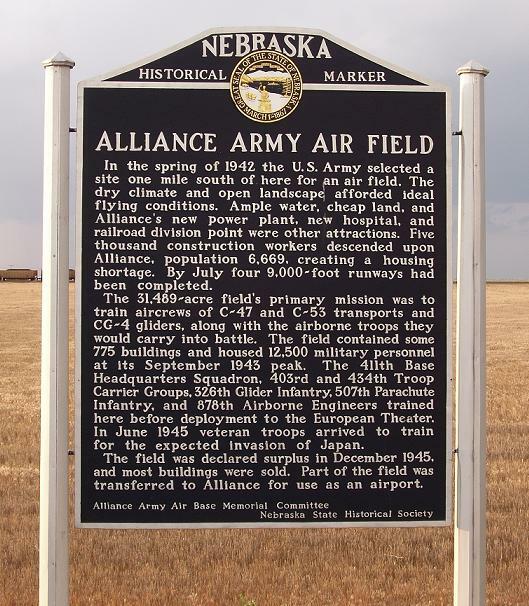 This sign is located along the north side of Highway 2 north of the airfield. 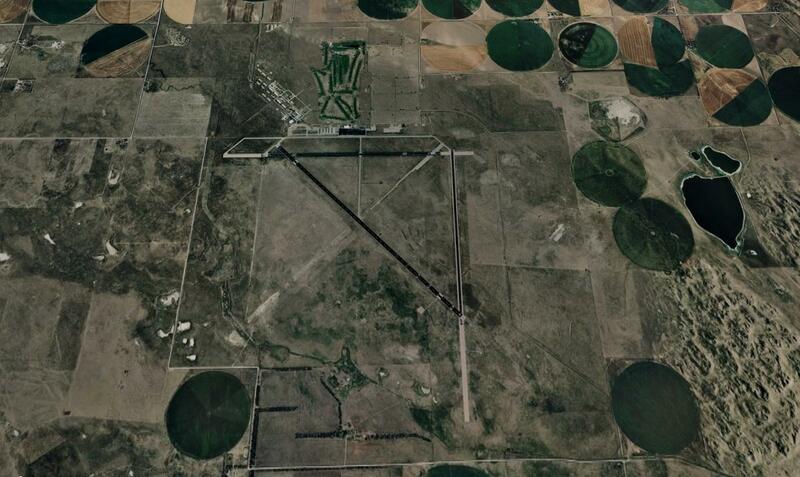 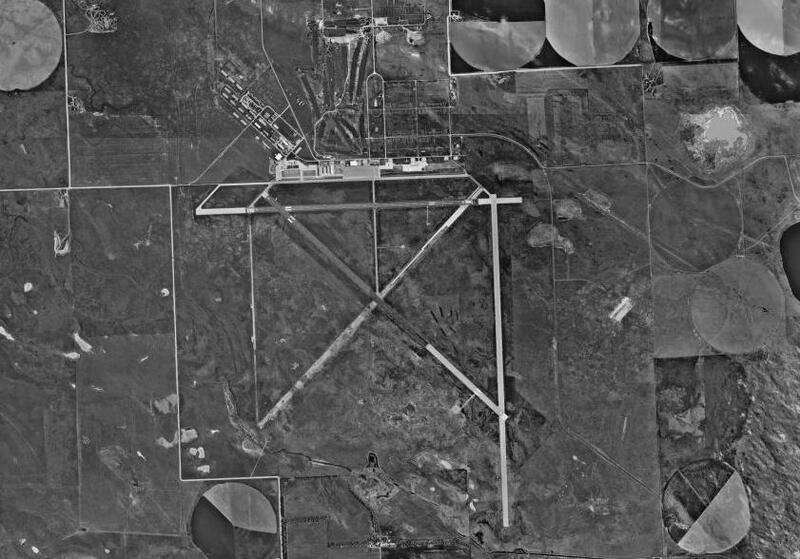 Modern aerial image of the Alliance Army Air Field. 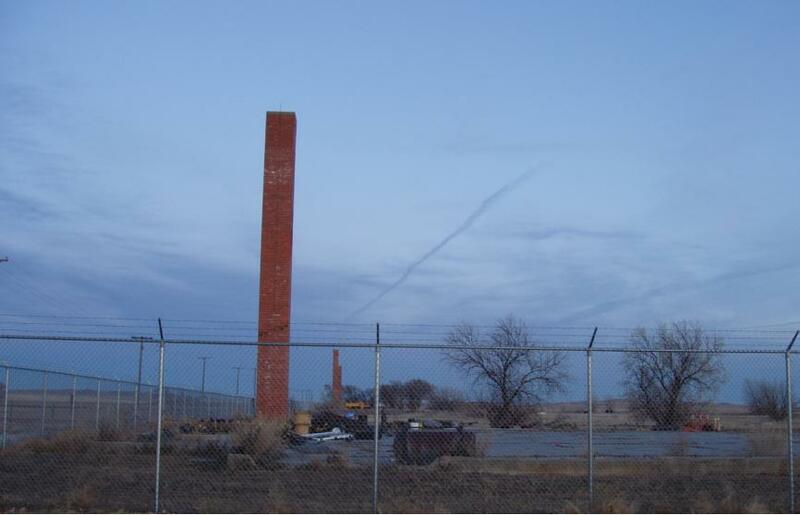 The smokestacks and concrete pads for the former hangars.